Mother’s Day is an annual holiday with a lot of meaning for many of us, but giving a meaningful Mother’s Day gift doesn’t necessarily have to mean spending a lot of money, or buying Mom the typical flowers or chocolates. Think beyond the mainstream ideas and television commercials, and you can do something even more meaningful for this Mother’s Day. Here are some Mother’s Day gift ideas to help spark your creativity. Are there little ones still at home? Mom’s day is no doubt full of lots of running around, picking up toys, and dealing with meal, play, and nap times. Why not let Mom sleep in for once, or set aside a two-hour block in the afternoon for her to enjoy her own nice, long nap while you keep the kids entertained? To help her get ready for some sweet slumber, a comfy monogrammed robe and a pair of cozy, microwaveable slippers to warm her toes make a luxurious gift she’s sure to enjoy. Does your mother love her latte? Why not start her special day with an unannounced trip to her favorite coffee bar or tea room? Restaurants tend to be very crowded on Mother’s Day, and without a reservation, you may be hard-pressed to treat Mom to lunch or dinner. Take her to a local coffee shop she loves instead, or if she doesn’t have a favorite place, make it your mission to find a few unique places in your town that sell sweets along with coffee. If your mom is not a morning person, make it a fun afternoon dessert date. 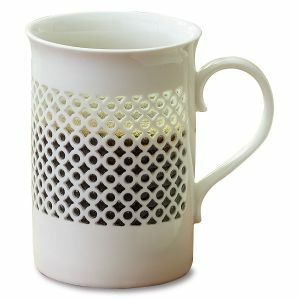 To make it extra special and fun, give mom a pretty coffee mug, a set of handcrafted Italian coasters that express how you feel about her, or a whimsical tea set to commemorate the occasion. Does Mom need a weekend away from it all? Surprise her this Mother’s Day with the gift of an overnight hotel stay in a quaint mountainside town or an Airbnb beachside booking. Enclose a picture of her getaway destination and a gift card for her favorite restaurant inside a beautiful monogrammed tote bag, and watch her face light up with delight on Mother’s Day. We all love to pamper our moms since they so seldom pamper themselves. A personalized spa wrap and a monogrammed train case full of indulgent bath and spa products makes a wonderful combination for giving mom the tools to take some time and enjoy a little pampering at home. To increase the indulgence quotient, give Mom a gift certificate for a day of spoiling at her favorite spa. Jewelry is always a good idea when it comes to Mother’s Day gifts, and a necklace that celebrates family is a marvelous way to show the world how precious family ties really are. This year, give Mom a gorgeous engraved family tree personalized necklace. She’ll wear this beautiful double disk pendant necklace with pride all year long. If your mom prefers bracelets, a personalized namesake silver link bracelet featuring a special message or the names of family members is another way she can proudly celebrate the love of family in a beautiful way. 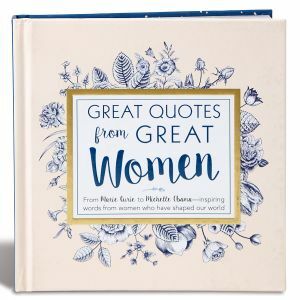 If mom likes to curl up with a good book, a collection of great quotes from great women like Rosa Parks, Jackie Onassis and more is a great way to pass an afternoon. Add a super soft, 100% cotton personalized throw and she can wrap herself up in warmth and comfort as she enjoys her reading time. One gift that all mothers appreciate is the time they spend with their children. If you’re blessed enough to physically be with your mother, whether you take her out for a meal, spend the day doing chores for her around the house, take in a movie together, go shopping, or take a leisurely drive in the country, time spent together is one of the best gifts you can give your mom this Mother’s Day. 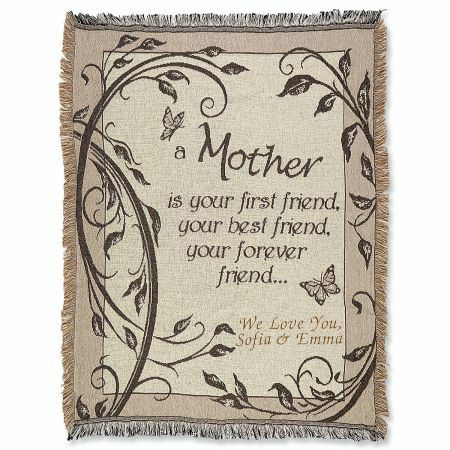 Impress for Less: TWENTY Lillian Vernon Exclusive & Personalized Gifts Under $10! Make it Personal: 13 Great Gifts For Her Starting at $6.99! Ring in 2017 with a Sweet and Chic Cakes & Cocktails Party! Staycation vs Vacation | Which one is right for you? It’s Time to Get Spooky!